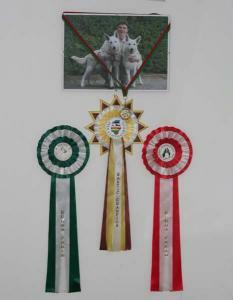 For today Almighty is Champion of several countries and has got from judges excellent decriptions. 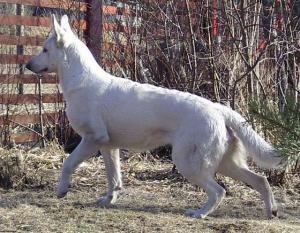 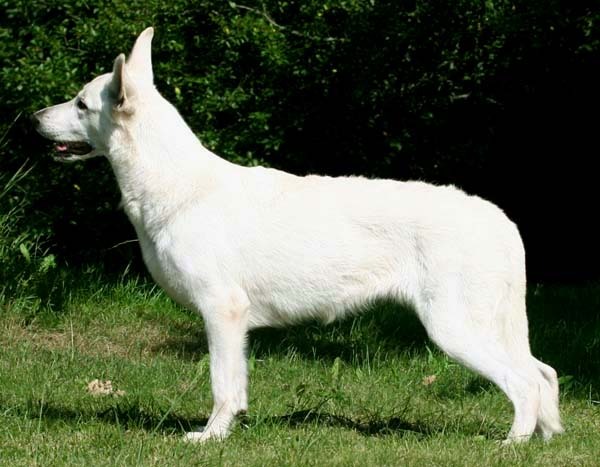 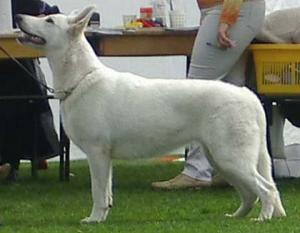 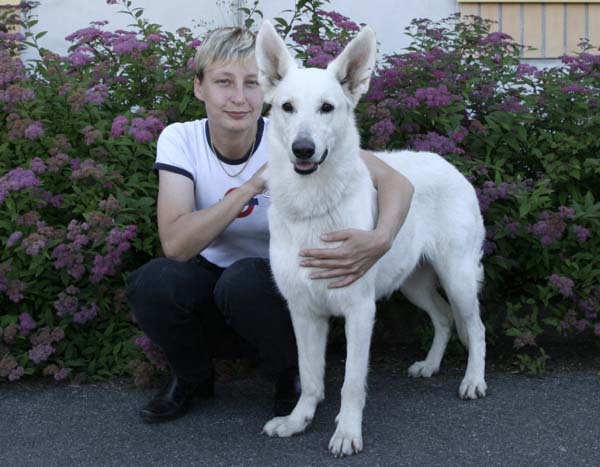 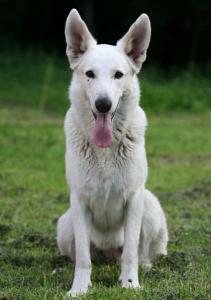 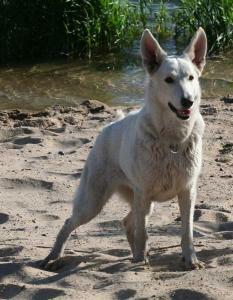 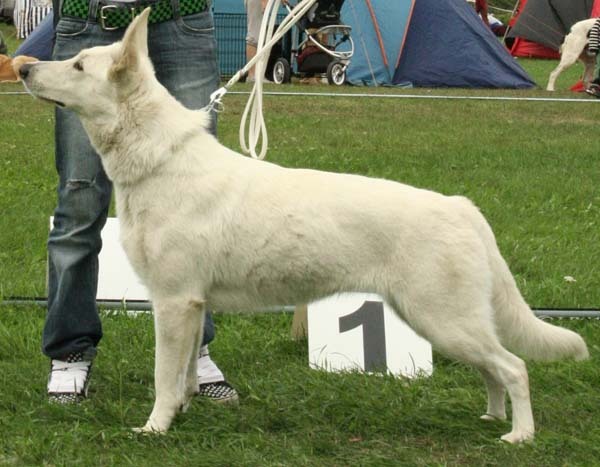 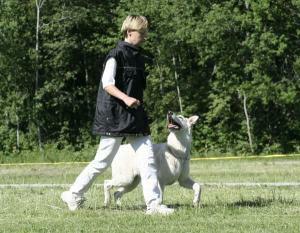 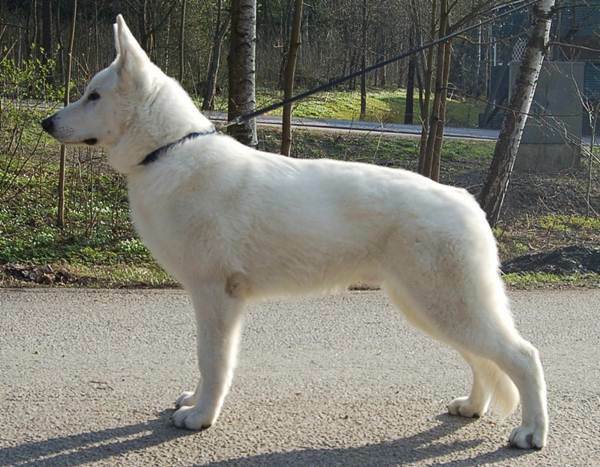 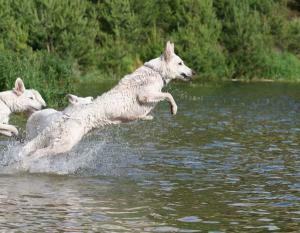 She is middle sized, excellent cornered, excellent pigmented white shepherd that has got excellent character. 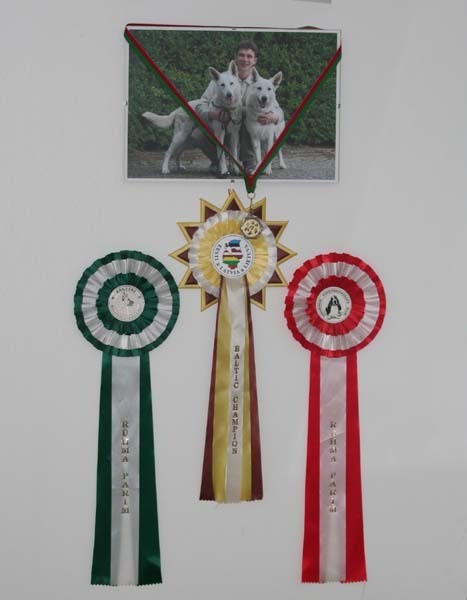 Her best show result is from German judge Herman Bürk when she gained Group Winner (Best Of Group 1 place), Best Of Breed (BOB) and EST CAC. 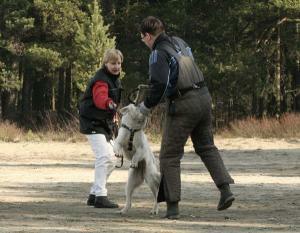 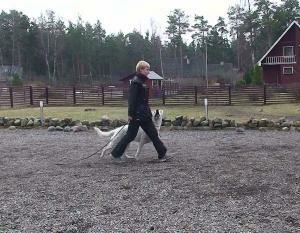 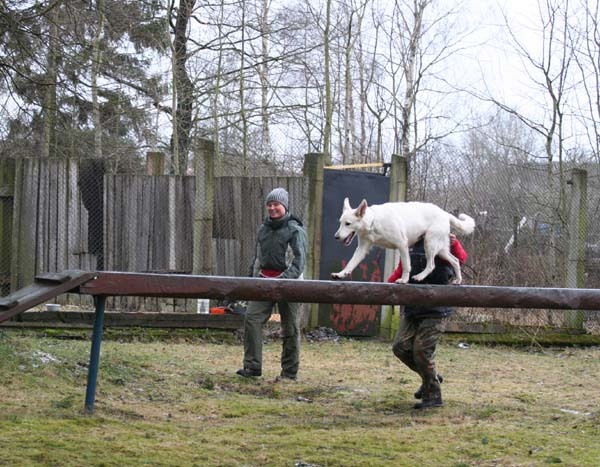 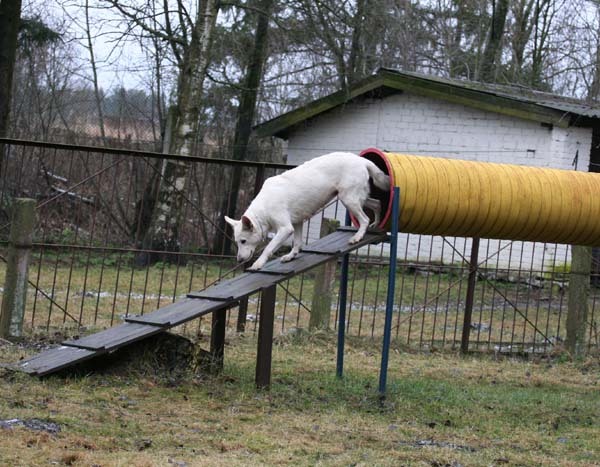 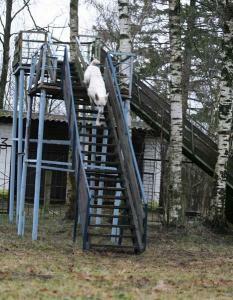 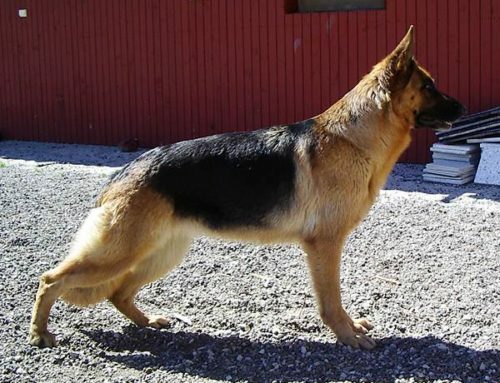 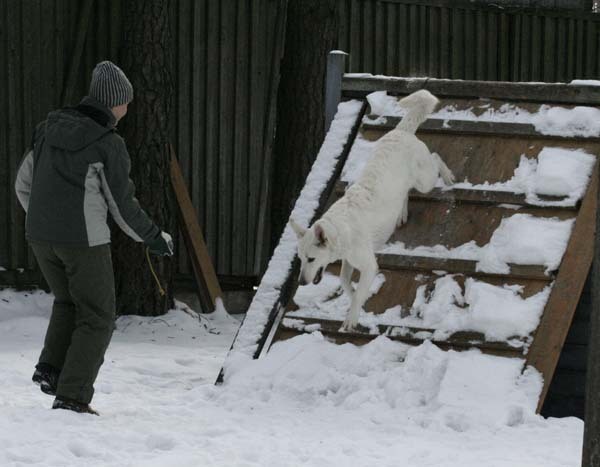 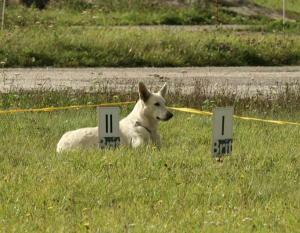 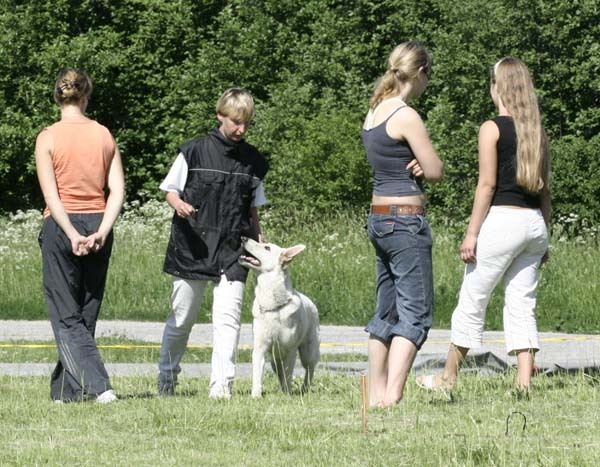 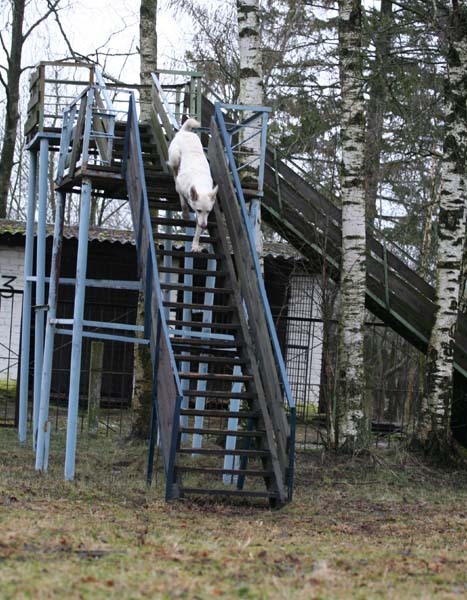 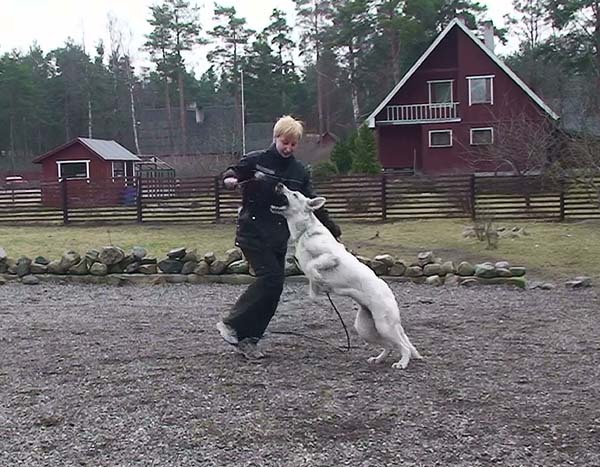 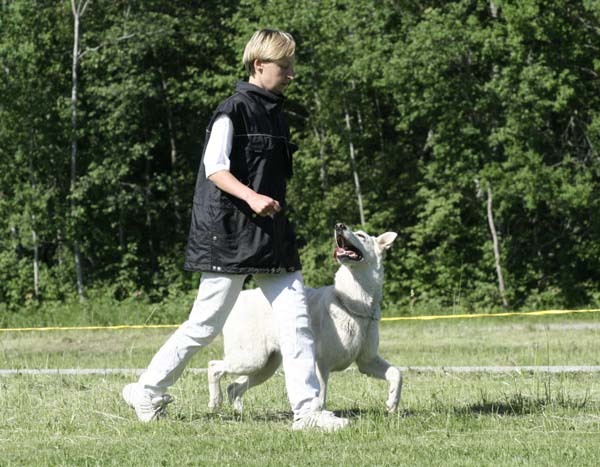 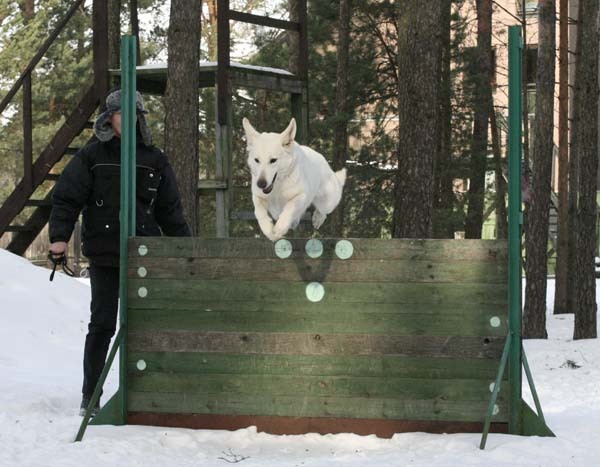 At present we are more concentrating on different kind of trainings like obedience, protection and rescue. 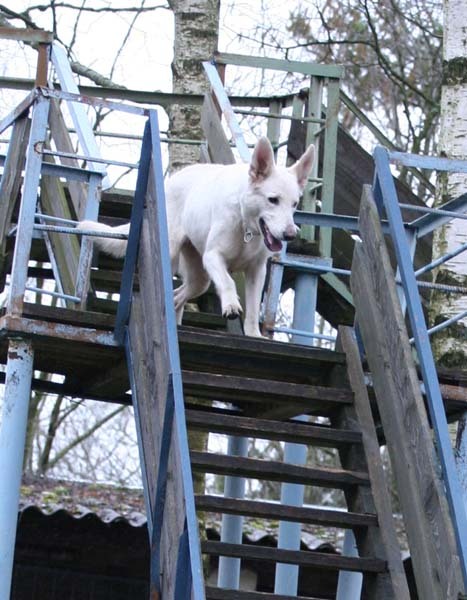 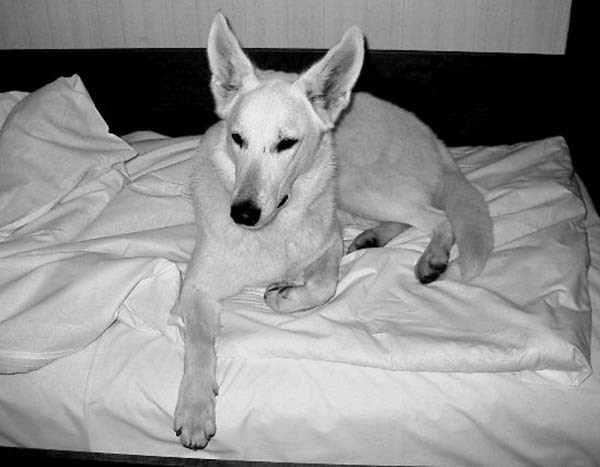 Almighty is the first white shepherd in our family and has been living with us since summer 2003. 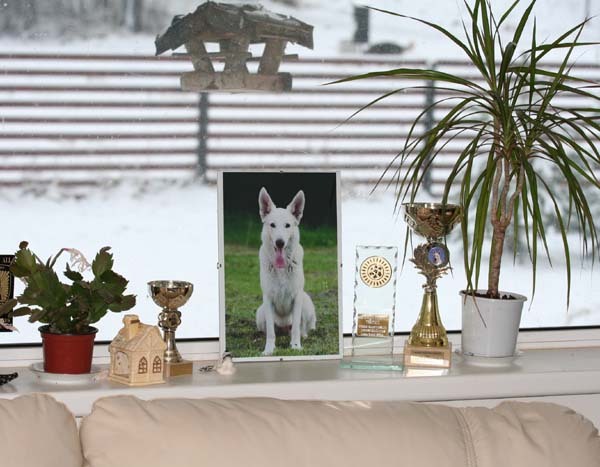 And although she is dominant, extremely self confident, extremely selfish and she has been at her youth age most difficult dog to live with:) we all just love her because of her special personality. 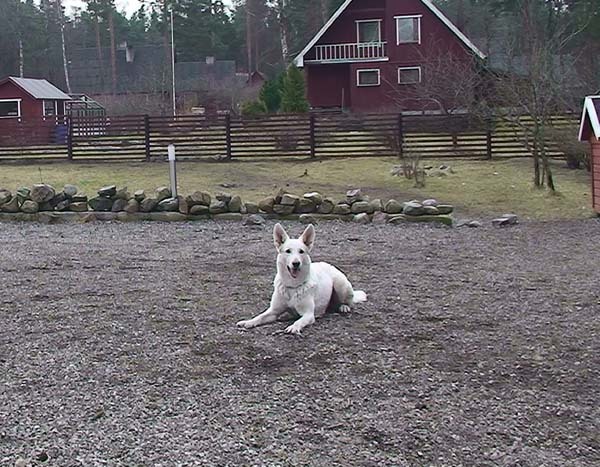 She can be very stubborn when she wants and very demanding when she feels she needs attention or when something is going on and she will not be taken to participate:) She feels herself like the Almighty (the God) itself and sometimes also acts like him:) She is so self confident that can even be bossy with people sometimes f.e. 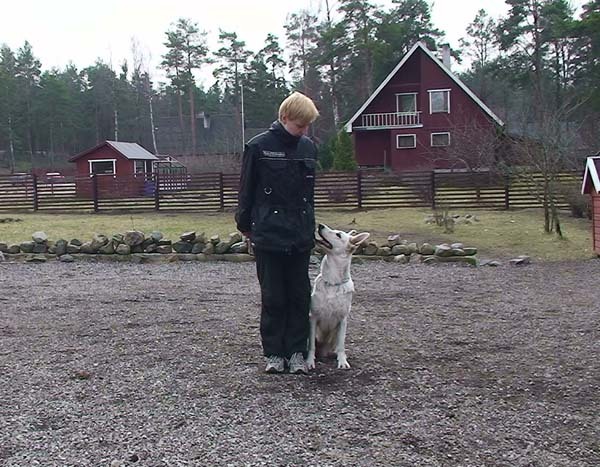 just eating their food in despite of them yelling at her but she is still never agressive with humans. For us she certainley is the best friend anyone could wish for. 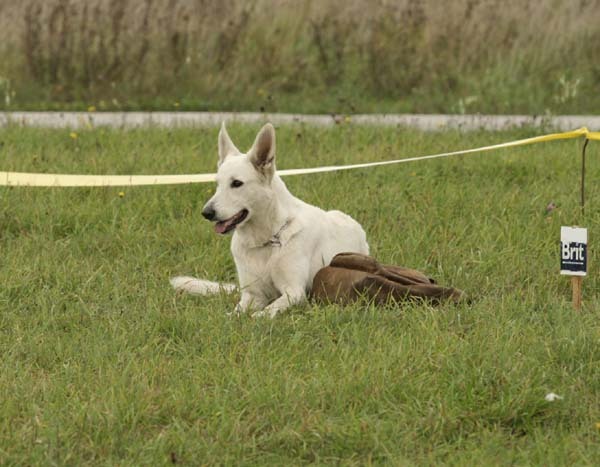 She has finally achieved the pack leader place and proudly carries it being after some months difficult period finally a smart pack leader. 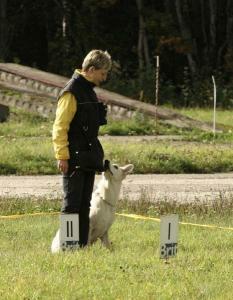 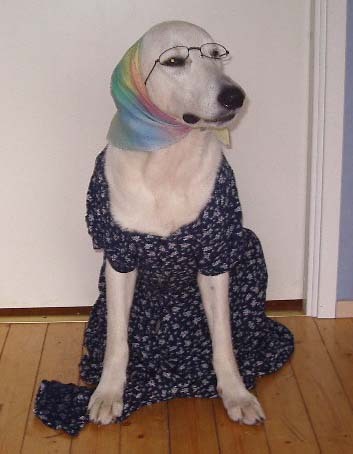 She looks after the soundness in the pack and that all pack members would act like we want them to behave. 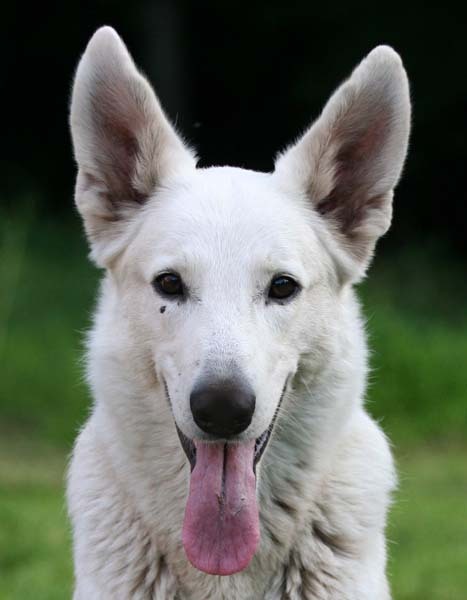 Since Almighty knows actually very well how to behave correctly she looks after that all the pack behaves correctly and only she can make mistakes:) Although she wants to be bossy she has actually got very loving character and she loves us all very much. 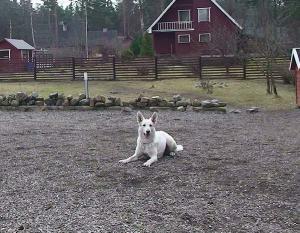 Year by year she is getting less demanding and more loving family dog. It is used to be that when she felt needed to be pet she came to me asking for it and it was usually once in a week. 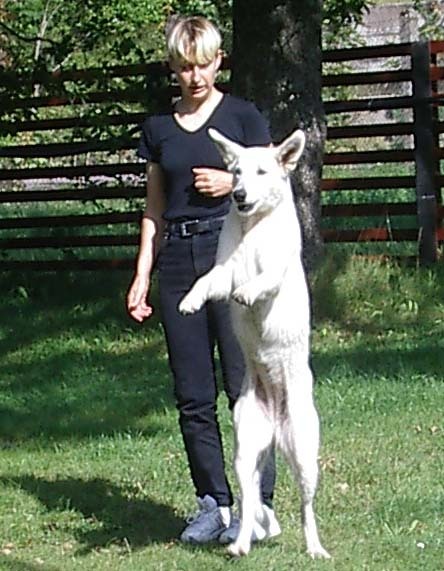 Now it is almost every day when she comes to me to put her head into my lap like saying: „Please, hug me I just love you very much”. And she can stay for a long time just hugging me. In these moments she gets forgiveness of everything she has done and seems to be a real angel:) Since she does now at the age of three years old only very rearly mischiefs you can imagine how much she is loved by us:) Looking at Almighty I can say that white shepherd surely is the ideal companion and family dog. 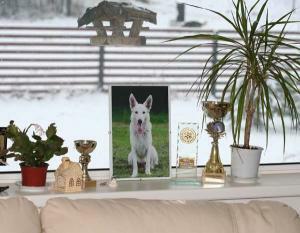 We are very lucky to have such dog as Almighty in our family.